Indicators addressed under Market Presence are covered by our strategic objectives (Specifically Instil a high-performance culture), and the Intellectual, Social and Human capitals. Remuneration and employee benefits are attractive, well-structured and competitive. All remuneration and employee benefits are aligned with legislation. Remuneration practices are regularly reviewed and the group is committed to removing unfair discrimination in pay scales. In South Africa, pay differentials are disclosed in terms of employment equity legislation. Male and female income levels are continually reviewed and unfair anomalies are addressed. We have implemented the Towers Watson global grading system in all operations, and our positions are graded accordingly. Wage and salary levels are benchmarked by country and category. This ensures equity and non-discrimination in remuneration practices. Localisation and gender objectives are set in non-South African operations in accordance with local demographics and legislation. Where the required skills are not available, the focus is on expatriate assignments, with the commitment to develop a local skills base. Senior managers in all divisions are mostly locally based. Over 96% of employees are hired from the respective local communities. We comply with legislation when recruiting locally and procedures for hiring include advertising, developing people from within the company, involvement in the community and schools to source potential employees and learners. All remuneration and employee benefits are in line with relevant legislation. Remuneration exceeds legislated minimum country wage levels irrespective of gender. However, where industry-negotiated agreements and other relevant legislation apply, payment is made according to these obligations. Similarly, apprenticeships and learner-ships are usually paid at industry levels. There are no structural disparities by gender in entry level wages. Given the vast range of countries and industries in which Barloworld operates, as well as the significant number of job categories in the group, it is not practical to disclose all detailed wage minimums as well as related Barloworld levels and ratios although this information is reviewed annually. However, examples of ratios of standard entry level wages range on average from 1 to over 8 times above the local minimum wage in certain African countries, with instances of up to 16 times; 1.29 to 3 times in Europe and in Russia, depending on the region; In South Africa, standard entry level wages are at agreed or above industry levels. As noted, the material issue for the group is that it does not pay below minimum legislated wage levels, is not exposed to risk in this regard and that its remuneration policy aligns with its need to attract and retain the required talent to realise its value creation objectives. As the group has implemented the Towers Watson (TW) global grading system in all operations, its positions are graded accordingly. Wage and salary levels are benchmarked by country and category. This ensures equity and non-discrimination in remuneration practices. Remuneration practices are regularly reviewed and the group is committed to removing any unfair discrimination in pay scales. In South Africa, differentials are disclosed in terms of employment equity legislation. Group policies and practices are fair and do not unfairly discriminate based on gender. For the 2017/2018 period executive committee members received salary increases in line with those generally granted at senior levels across the organisation but were lower than average increases granted and more junior levels. For the period from 1 October to 30 September the Group CEO total remuneration (annualised) was R20.9 million. This includes salary; retirement and medical contributions; car benefits; and bonus. It excludes long-term incentives (see also 2018 Integrated Report: Barloworld Remuneration report, 2018 Total remuneration outcomes). During the same period, total remuneration paid to 17 416 employees (excludes CEO) was R9 056 million. This includes salaries, wages, overtime payments, commissions and allowances as well as retirement and medical contributions and insurance (see also: 2018 Barloworld Integrated Report – Value added statement for the period ending 30 September 2018 for value distributed to employees). This resulted in an average amount paid to employees during the period of R519 950. In the circumstances, the ratio of Group CEO compensation to the average of all employees during the period was 40.2. 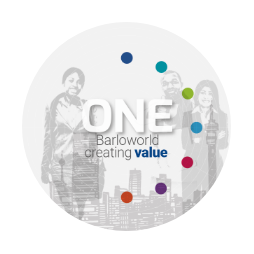 At Barloworld, unfair discrimination based on gender, race, religion, sexual preference or age is not permitted. All employees have access to the same opportunities. In South Africa, historically disadvantaged South Africans or HDSAs are actively recruited and promoted. Transformation objectives in this country ensure a commitment to local recruitment and employee development. In other regions, applicable localisation requirements also inform recruitment procedures. In South Africa, mandatory employment equity plans and progress reports are submitted to the Department of Labour. These set out employment targets that address race, gender and disability. Over and above this, some divisions within the group have implemented localisation targets for their African operations. Where the required skills are not available, the focus is on expatriate assignments, with the commitment to develop a local skills base. Expatriates are in general assigned for specific periods under certain conditions and return to their home countries on completion of the assignment. There is a small contingent of 648 international assignees who principally support operations in southern Africa. Senior managers in all divisions are mostly locally based, with 11 currently in expatriate positions. Overall 3.72% of employees are expatriates, with the balance of 16 769 (96.3%) employees hired from the respective local communities. We comply with legislation when recruiting locally and procedures for hiring include advertising, developing people from within the company, involvement in the community and schools to source potential employees and learners. Empowerment and transformation legislation and objectives in South Africa ensure commitment to local recruitment and development of employees (see table below for breakdown of employee profile). In other regions localisation requirements also inform recruitment procedures.